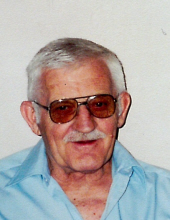 Vernon W. Kumbalek, 87, Town of Brazeau, died unexpectedly Monday April 8, 2019 at a local hospital. He was born March 23, 1932 in Two Rivers to Louis and Theresa (Nieman) Kumbalek. Vernon served his country in the U.S. Army during the Korean War. On April 3, 1984, Vernon was united in marriage to Luz Napoles Villena in the Philippines. Vernon was a dairy farmer most of his career and farmed in Coleman for many years. He retired in 1997. Vernon was a longtime member of St Wenceslas Parish in Klondike. He enjoyed hunting, fishing, wood crafting and tinkering around the farm. Vernon is survived by his wife, Luz; two children, Cindy (Mike) Dandini, Texas, Cory Kumbalek, Two Rivers; a stepson, Carlo (Tanya) Villena ,Lena; three grandchildren, Greg, Michael and Jessica; two step grandchildren, Alex and Chris; three great-grandchildren, Braylon, Penelope and Olivia; a brother Donald ( Marge) Kumbalek; many nieces, nephews and other relatives and friends. Vernon was preceded in death by his parents, three daughters, Kay, Amy and Kristi; and four siblings. Friends may call at Rhodes-Charapata Funeral Home, 438 West Main Street, Lena, on Saturday April 13, 2019 from 10 a.m. until 12 noon. The memorial service will be held at 12 noon at the funeral home with the Rev Felix Abano officiating. Veteran Honors will follow the service. Vernon’s family wishes to thank the Town of Brazeau rescue squad as well as all of the nurses and staff at St Claire Hospital for their care and compassion. To send flowers or a remembrance gift to the family of Vernon William Kumbalek, please visit our Tribute Store. "Email Address" would like to share the life celebration of Vernon William Kumbalek. Click on the "link" to go to share a favorite memory or leave a condolence message for the family.